The Declaration of the Rights of the Peoples of Russia (Russian : Деклара́ция прав наро́дов Росси́и) was a document promulgated by the Bolshevik government of Russia on November 15 (November 2 by Old Style), 1917 (signed by Vladimir Lenin and Joseph Stalin). Vladimir Ilyich Ulyanov, better known by the alias Lenin, was a Russian revolutionary, politician, and political theorist. He served as head of government of Soviet Russia from 1917 to 1924 and of the Soviet Union from 1922 to 1924. Under his administration, Russia and then the wider Soviet Union became a one-party communist state governed by the Russian Communist Party. Ideologically a communist, he developed a variant of Marxism known as Leninism; his ideas were posthumously codified as Marxism-Leninism. Free development of national minorities and ethnographical groups populating the territory of Russia. The meaning of the Declaration is still disputed in Russian historiography. In 1917 the Bolshevist thinking was still largely idealistic, dominated by vague ideas of "universal happiness". Also, at that moment Bolsheviks believed that the World revolution was imminent, so they did not care much about loss of territories. However, in the cold-war western literature, it is often argued that in fact Lenin and Stalin agreed to liberate mostly the territories they had no sovereignty over since Russia had lost them to Central Powers in 1915 and 1916. Many historians suggest that the purpose of the document was to limit the public dissent after Russia lost most of its western areas to the advancing German Empire and try to complicate the matters behind the front lines. But in reality, the declaration had the effect of rallying some ethnic non-Russians behind the Bolsheviks. Latvian riflemen were important supporters of Bolsheviks in the early days of Russian Civil War and Latvian historians recognize the promise of sovereignty as an important reason for that. The anti-revolutionary White Russians did not support self-determination and, as a result, few Latvians fought on the side of the White movement. The Russian Civil War was a multi-party war in the former Russian Empire immediately after the two Russian Revolutions of 1917, as many factions vied to determine Russia's political future. The two largest combatant groups were the Red Army, fighting for the Bolshevik form of socialism led by Vladimir Lenin, and the loosely allied forces known as the White Army, which included diverse interests favoring political monarchism, economic capitalism and alternative forms of socialism, each with democratic and antidemocratic variants. In addition, rival militant socialists and nonideological Green armies fought against both the Bolsheviks and the Whites. Eight foreign nations intervened against the Red Army, notably the former Allied military forces from the World War and the pro-German armies. The Red Army eventually defeated the White Armed Forces of South Russia in Ukraine and the army led by Admiral Aleksandr Kolchak to the east in Siberia in 1919. The remains of the White forces commanded by Pyotr Nikolayevich Wrangel were beaten in Crimea and evacuated in late 1920. Lesser battles of the war continued on the periphery for two more years, and minor skirmishes with the remnants of the White forces in the Far East continued well into 1923. 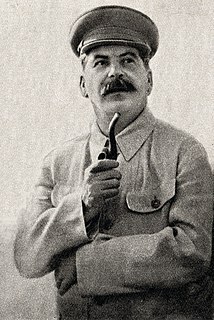 The war ended in 1923 in the sense that Bolshevik communist control of the newly formed Soviet Union was now assured, although armed national resistance in Central Asia was not completely crushed until 1934. There were an estimated 7,000,000–12,000,000 casualties during the war, mostly civilians. The Russian Civil War has been described by some as the greatest national catastrophe that Europe had yet seen. Intended or not, the deceleration's provided right to secede was soon exercised by peripheral regions in western Russia, part or which had already been under German army's rather than Moscow's control. But as the revolution spread, also many areas within Russia that have long been integrated declared themselves independent republics. Bolshevist Russia would, however, attempt to establish Soviet power in as many of those as possible. All three Baltic states experienced wars between Soviet governments aiming to establish a Communist state allied with Bolshevist Russia and non-Communist governments aiming for an independent state. The Soviet governments received direct military support from Russia. After the non-Communist side won, Russia recognized them as the legitimate governments of the Baltic states in 1920. Russian historiography often cited the document as one of the main bases for the liberation of Central European states. However, it is to be noted that Poland, Ukraine, Lithuania, Latvia, Belarus and Estonia were either created as puppet states by the Central Powers or liberated by the nations of the abovementioned countries themselves after the collapse of Germany and Austria-Hungary. The following countries declared their independence soon after the Bolsheviks' declaration, establishing themselves as non-Communist states. Although the role this declaration played in their declared independence is doubtful, it eased Bolshevist Russia's recognition of their independence. Except for Finland, all of these areas were outside of Russian sovereignty following the Austro-German successes in the Great War and were officially ceded in the Treaty of Brest-Litovsk, but note that the Bolsheviks could not have known this development at the time of the Declaration. Bolsheviks never rejected the idea of self-determination, but the Soviet Constitutions (of 1924, 1936 and 1977) limited the right of secession to the constituent republics only. In 1990 Lithuania declared its independence again, citing their right to secession as written down in the Soviet Constitution. This would be followed by Estonia and Latvia. In the Polish–Soviet War of 1919-1921, Soviet Russia and Soviet Ukraine were in combat with the newly independent Second Polish Republic and the Ukrainian People's Republic. Both sides aimed to secure territory in the often disputed areas of today's Ukraine and parts of modern-day Belarus, in the context of the fluidity of borders in Central and Eastern Europe in the aftermath of World War I and the breakdown of the Russian and German empires. The first clashes between the two sides occurred in February 1919, but full-scale war did not break out until the following year. Especially at first, neither Soviet Russia, embroiled in the Russian Civil War, nor Poland, still in the early stages of state building, were in a position to formulate and pursue clear and consistent war aims. The Lithuanian Wars of Independence, also known as the Freedom Struggles, refer to three wars Lithuania fought defending its independence at the end of World War I: with Bolshevik forces, Bermontians, and Poland. The wars delayed international recognition of independent Lithuania and the formation of civil institutions. The Estonian Declaration of Independence, also known as the Manifesto to the Peoples of Estonia, is the founding act of the Republic of Estonia from 1918. It is celebrated on 24 February, the National Day or Estonian Independence Day. The Estonian Sovereignty Declaration, fully: Declaration on the Sovereignty of the Estonian SSR, was issued on November 16, 1988 during the Singing Revolution in Estonia. The declaration asserted Estonia's sovereignty and the supremacy of the Estonian laws over the laws of the Soviet Union. Estonia's parliament also laid claim to the republic's natural resources: land, inland waters, forests, mineral deposits and to the means of industrial production, agriculture, construction, state banks, transportation, municipal services, etc. in the territory of Estonia's borders. November 16 is now celebrated annually as the "Day of Declaration of Sovereignty".